Share and Find videos, photos, messages, notes, billing etc. all at one place! Helps you in monitoring your child’s education growth with utmost privacy. Ergonomically designed as a one stop solution for all your early education needs. 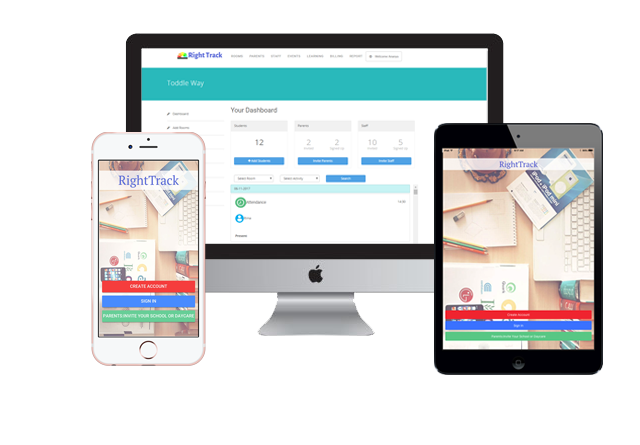 Allows parents to reach out to teachers and vice versa in a very convenient and quick way. Both website and app are designed in a way which is very simple and easy to use so that you don’t invest hours learning how to operate it. Digital information keeps your records easily accessible as and when required and easily shareable to your other social media platforms. Complete paperless invoicing reducing your carbon footprint and pushing the Digital India growth. Seamless interaction and availability among many devices.